Are you ready to meet #BeckettMontgomery? Beckett Montgomery is a well-known detective in the New York area. He takes his job seriously and has little time for anything else. During an investigation in to a series of break in’s of an apartment building on 32nd St., he finds himself getting a little too involved. What had always in the past been his job, now felt as if it was so much more. He can’t seem to let go of the image of the beautiful, scared blonde with a look of horror on her face. He found that protecting her became all he could think of. Whatever it took, not matter the cost, he would provide her the security she needed. 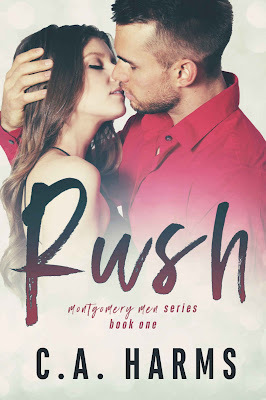 Yet with each passing second Beckett spent in the presence of Shanelle Kramer he found that the need for her only grew. Her beauty alone made him weak in the knees and that was only the beginning. Although this is book 2, there is no need to read book 1 but it's too good to miss so get that one as well. Beckett is a tough nonsense cop who has a brilliant relationship with his brother but it's his interactions with Lex that really cracked me up. Lex is comedy gold and needs his own book. I loved getting to know Beckett he's funny, super sweet, kind and protective what I really liked about as he's not afraid to show how much he loves his family. Elle is what I would call a beautiful soul she's one of those woman who is stunning to look at but she has a heart of gold but she's no pushover. When Elle catches his eye the attraction is instant but he messes up his first chance but he manages to persuade her to give him a second chance. And the rest is history ... no not really but the way he treats her, the way he loves and protects her will have you swooning. I really enjoyed this story with the suspense elements it gives a love story that little something else. Bring on the next brother. I loved the first book in their series but I must say you don't have to read it to read this one. I love when an author does that but I promise you, you don't want to miss out on the first one either. Anywho this book was everything. Beckett is definitely my kind of alpha male. He's hard and alpha on the outside but you will fall in love with him once you get to know him. The side characters in this series are to die for and make you scream for them to have their own books. Don't want to mention names but you'll know who I'm talking about. Elle is the all around perfect girl but will she fall for the cop that already blew his chance. You must read to get all the juicy tidbits. I promise you'll be happy you did. The Montgomery Men like to keep us entertained, on courtiers, and shaking our heads. 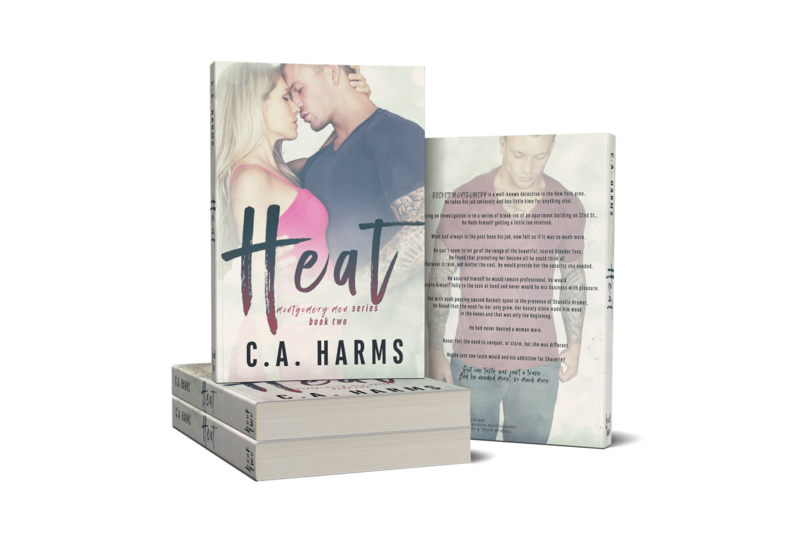 Heat is book two in the series and while it's not required to read book one...how can you resist!?! 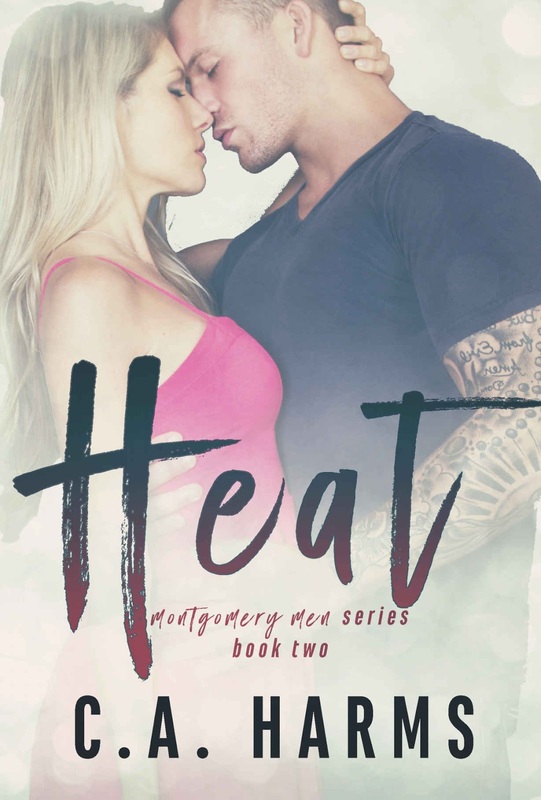 Hot and hunky Beckett is the leading man in this story. A NYPD detective and broody alphahole to boot. (Alphahole-alpha + @sshole) His leading lady is a gorgeous and kind trauma nurse. But let me tell you, the show stealer in this book is definitely Lex, whom you may or may not have met in book one. His brand of everything is over the top fun and maybe even a bit too much.